We were approached by a Church who required new flooring in the sanctuary and nave of their building. There were several factors to consider, firstly durability because of the high amount of traffic the floor would receive. The ease of cleaning and maintenance. The length of time and cost in fitting parquet. 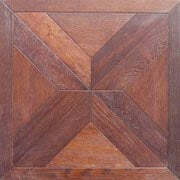 The best solution was in creating a panel, where we mounted the parquet onto plywood with tongue and groove edges (P823). 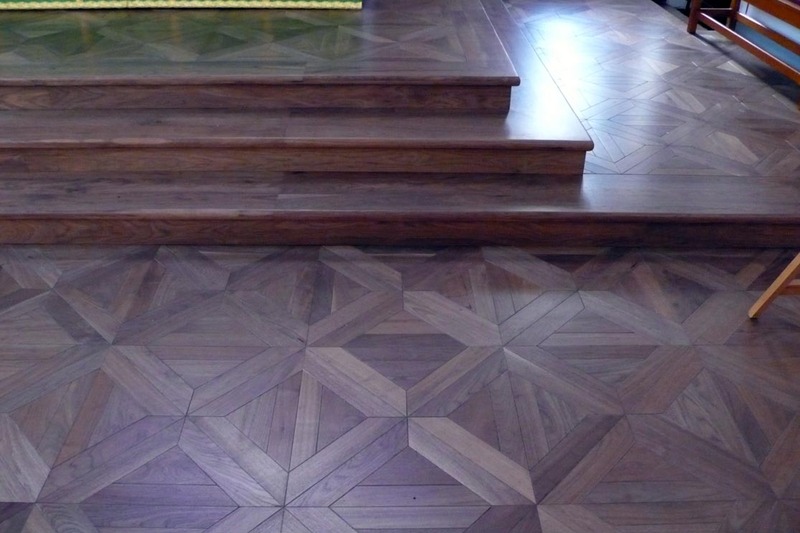 This method simplified installation as the parquet could be fitted like normal floor boards. We finished the oak in danish oil for long lasting protection and easy care. 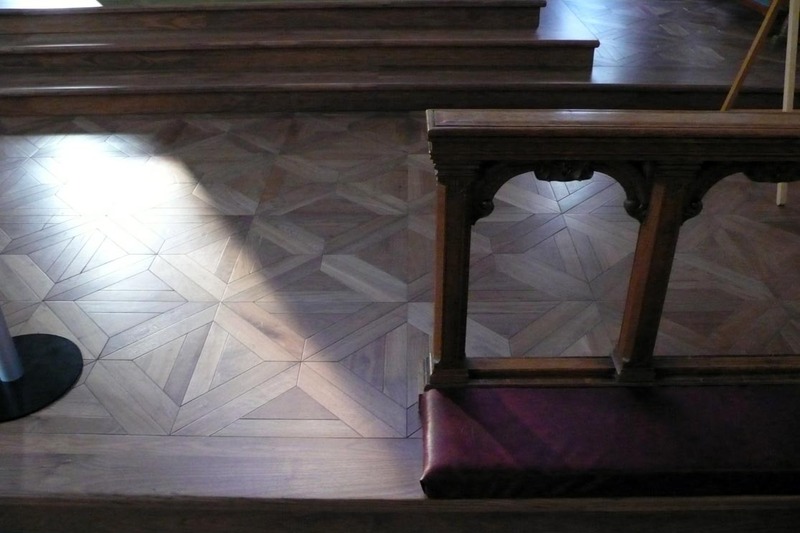 Still standing as testament to it's quality, this Classic French Oak Parquet has been fitted in this church for many years and will continue to for decades to come.